There is one thing companies in the travel industry have in common, whether they are hotel chains, cruise ships or travel agencies: a goal to provide an unforgettable experience to their customers. To achieve this, world-leading companies use efficient and innovative SAP technology, improving not just their customer’s journey but also their own. TUI Group is a world-leader in the travel industry. Their holiday packages are difficult to turn down, not just because of their beautiful destinations but because customers like tailored experiences. With the use of SAP technology, TUI has managed to understand their customers better and be consistent across digital and physical channels. The TUI app allows clients to save information about their preferred holiday deals and tailors prices for returning customers. Once a holiday is booked, holidaymakers can have all the information about their hotel, flights, transfers and even about their Holiday Rep at their fingertips. The latest addition to the app also enables chat functionality, allowing guests to communicate with staff at the resort for any queries they may have and getting a response within 30 minutes. SAP applications are also responsible for the cart options when booking with TUI through the website. The system identifies returning users and whether they are logged in or not and shows the saved items accordingly, a program with a similar concept to the one used by Amazon. To support this digital experience TUI implemented SAP Hybris Commerce Travel Accelerator across various channels. SAP Hybris is a subsidiary program integrated into the SAP Customer Experience division last year. It was originally created to help airlines sell effectively, but it is also used by other transport companies such as P&O Ferries. With this software, TUI is able to offer consistent prices and promotions across sales desks, contact centres and digital channels and to introduce new offers within 10 hours rather than two weeks – the time it used to take before. The customer services team at TUI also uses SAP Customer data cloud and SAP Service to find customer information, helping them to personalise excursions and enhance their customers’ trips. With more than 370 hotels in 40 countries, Meliá is one of the top 20 largest hotel operators worldwide and a great SAP success story. Under the leadership of their Vice President of Global IT, Christian Palomino, they completed the first-ever implementation in Spain of the SAP HANA Enterprise Cloud at the beginning of 2018. The project of moving to the cloud lasted just over six months and after two test trials they successfully achieved the migration of 14 on-premise systems to the SAP HANA Cloud in just one weekend. There were a number of challenges that made Meliá move onto the cloud. According to Mr Palomino during an interview at the ASUG conferences last summer, the chain wanted to be able to personalise the experience for each of their clients while centralising and managing their infrastructure, which was a challenge as many of the hotels in the chain are not owned by Meliá. 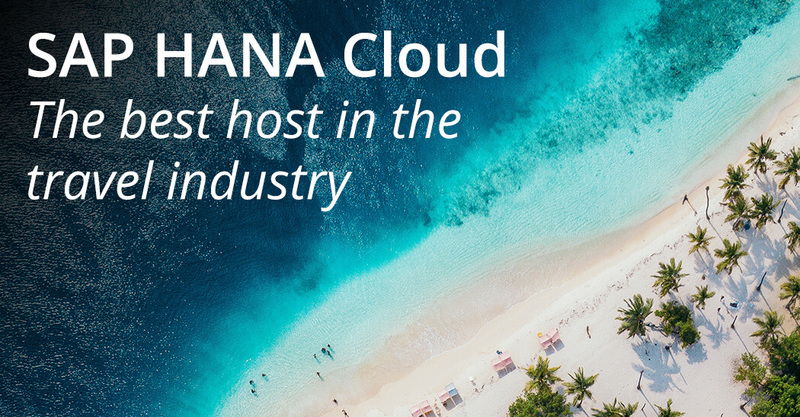 With the migration to the SAP HANA Enterprise Cloud, the team at Meliá achieved standardised processes across their worldwide locations, compliance to the different local regulations and more efficiency with a 20% reduction on time for processes, which allows them to focus their efforts on the customer experience and their growth as a business. Meliá uses SAP software primarily for HR, finance, stock and projects but has also used the system to improve as a business in other areas. By controlling their purchases through SAP, they have removed all plastic from their catalogue, which means they only purchase from vendors and suppliers that provide more environmental friendly and sustainable products, cutting out on plastic straws and water bottles. They also utilise the system to manage the loyalty program and provide discounts to returning customers. SAP SuccessFactors is one of the most popular SAP systems for HR, used by many companies in the travel industry. Minor Hotels Group, which operates brands like NH Hotels, AVANI, Marriot and Four Seasons, has recently implemented the software across their Oak Hotels, a brand in Australia and New Zealand with 52 properties. The aim is to substitute their manual applications’ review and the hiring processes of their monthly 75 new employees. This cloud-based solution also enables their employees to access information when they need it. With the new automated processes, employees are now free to concentrate on their customers and other projects, and the Minor Hotels can concentrate on their goal of growing by five properties each year.